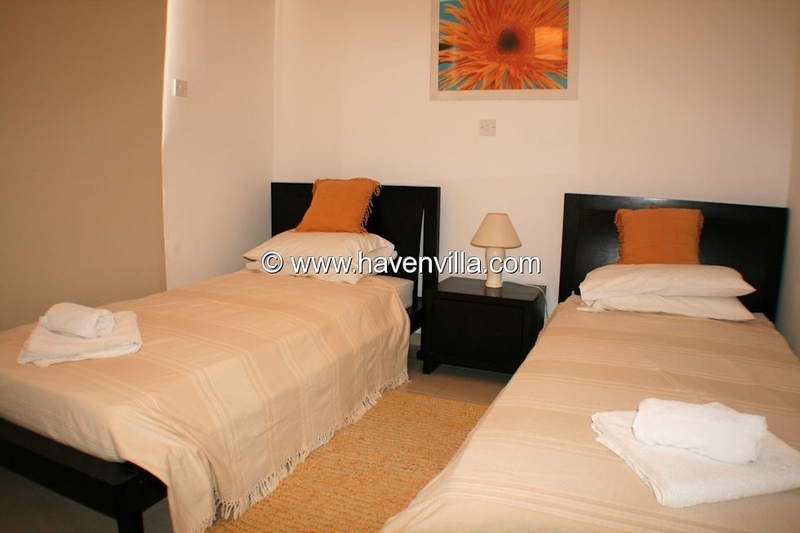 A 3 bedroom Coral Bay Holiday villa that situated in an exclusive cul-de-sac with large private pool 5x10 meters and manicured gardens. Spacious open plan living area decorated with plush leather sofas and well equipped for self catering. 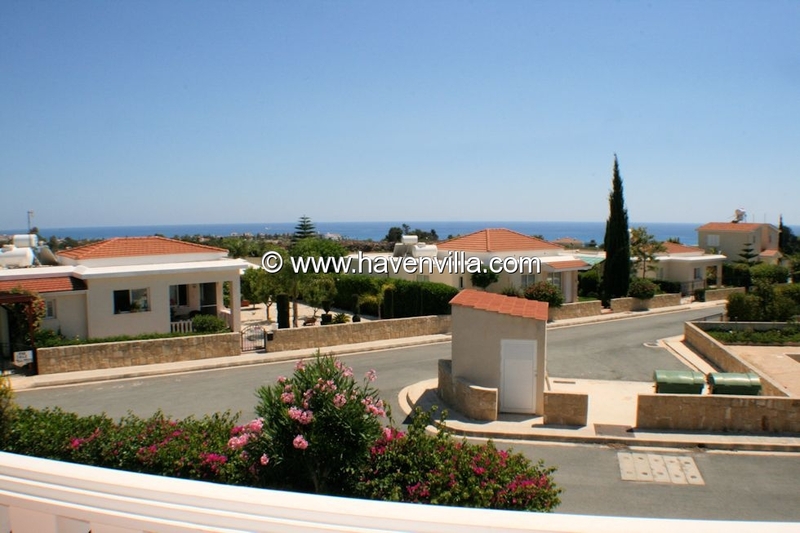 From the upstairs balcony one can enjoy the unobstructed sea views over Coral Bay and surrounding areas. 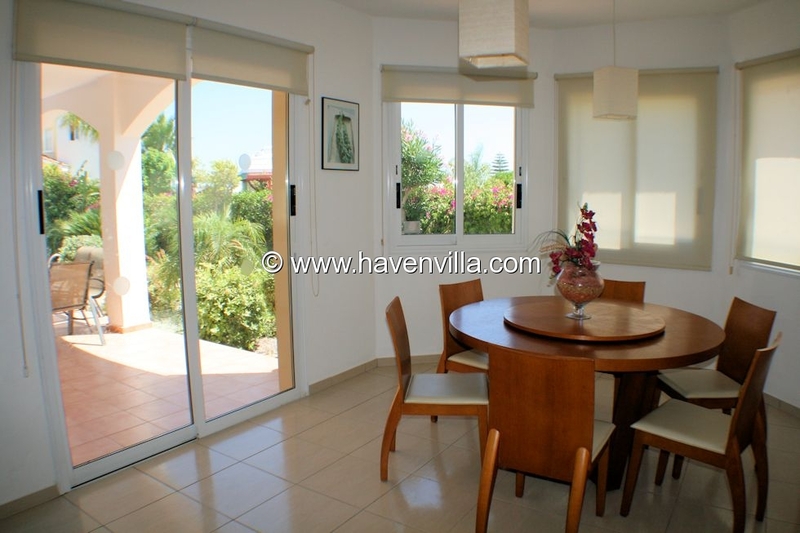 Conveniently located in the sort after Coral Bay/Corallia area and within a few minutes gentle stroll to the beach, bus route, shops, resturants and bars. 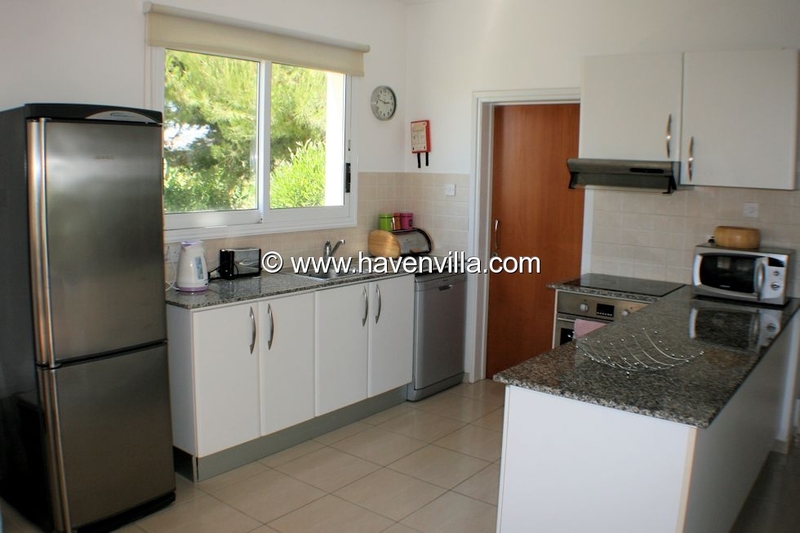 The villa consists of open plan dining, kitchen and sitting area complete with American style fridge freezer, microwave, dishwasher, washing machine, oven and hob, kettle and toaster. Separate utility room and downstairs guest toilet and wash basin. Stylish round dining table and chairs. Comfortable leather sofas, Android box with British and other channels and DVD (A selection of DVDs is available at this Coral Bay Villa. Patio doors from the sitting area lead to the pool and terrace area with overlooks the neighbouring banana plantations. 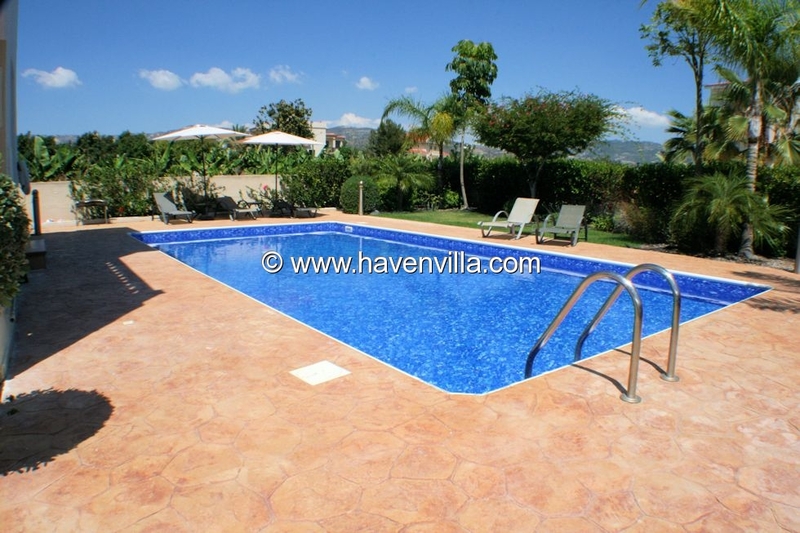 Large pool 5x10, sun beds, garden furniture, newly build in barbecue and umbrellas. The front of the villa offers a shaded terrace area with a large table and chairs. 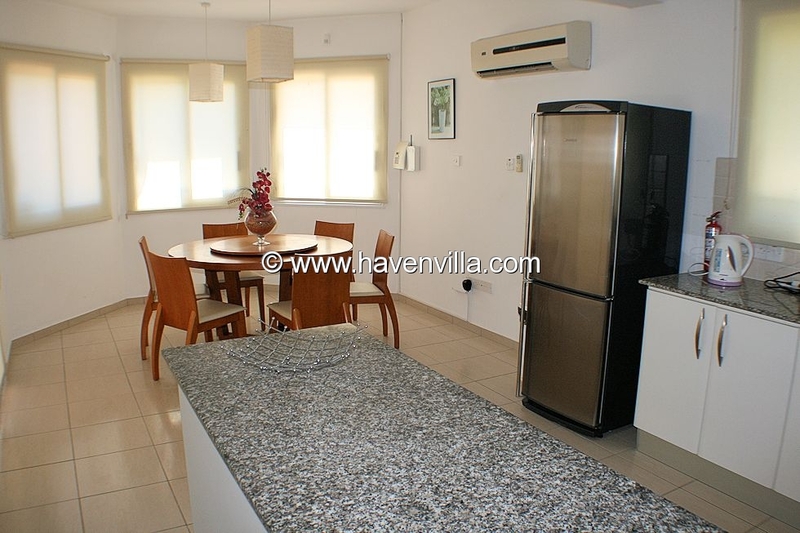 Air-conditioning is available throughout the villa and is included in the rental rate. Also available on request Safety gates. 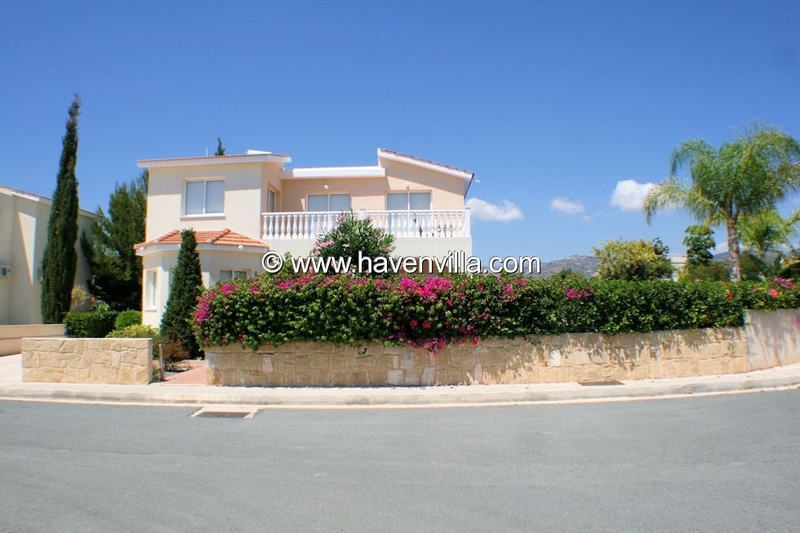 This villa is next to holiday villa 194. 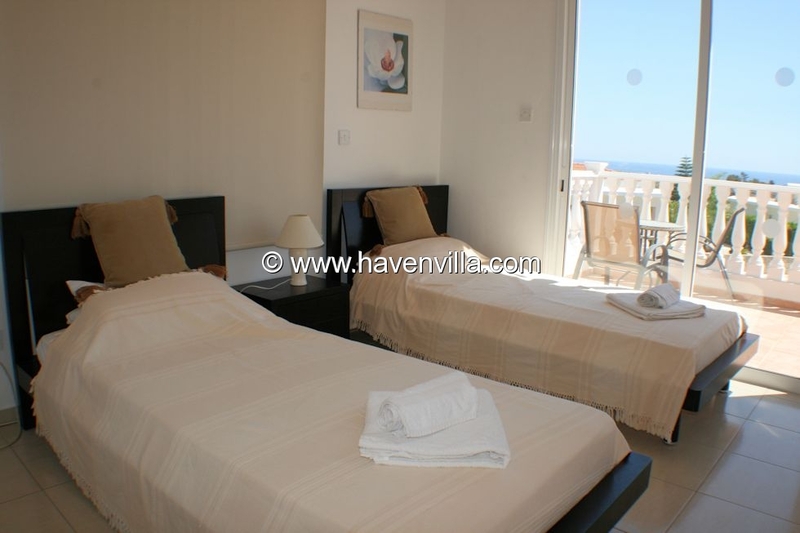 Therefore, this villa is ideal for large groups wishing to holiday together but maintain privacy. Fridge freezer, microwave, dishwasher, washing machine, oven and hob, kettle and toaster. Stayed July 2017. 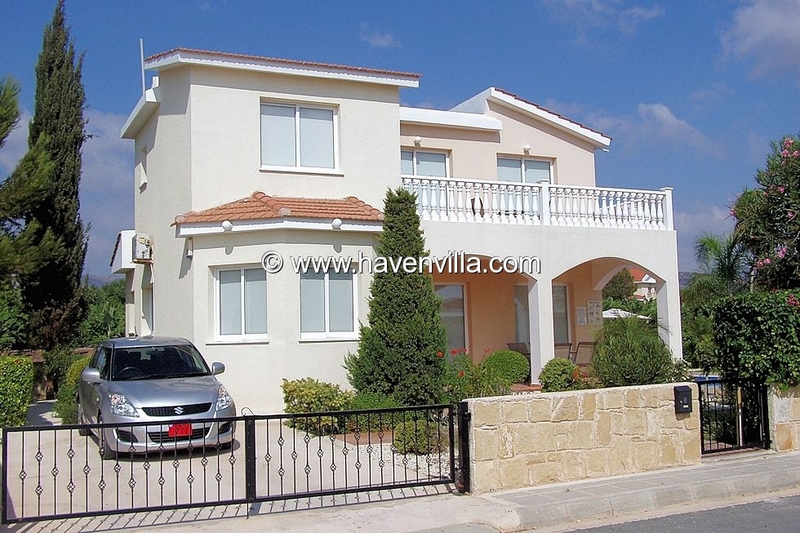 Nice villa and well equipped. BBQ was well used. Nice touches with coals and firelighters. Torches also provided as no streetlights on walk from strip. All issues were quickly dealt with by Andros. Philippos supermarket is a 10 minute walk. Excellent range. Also if you do not have a car will deliver you and your shopping back to villa. A car would be useful especially if visiting in summer%u2026too hot to walk more than 10 mins. Pool was good as were sunbeds/ umbrellas. 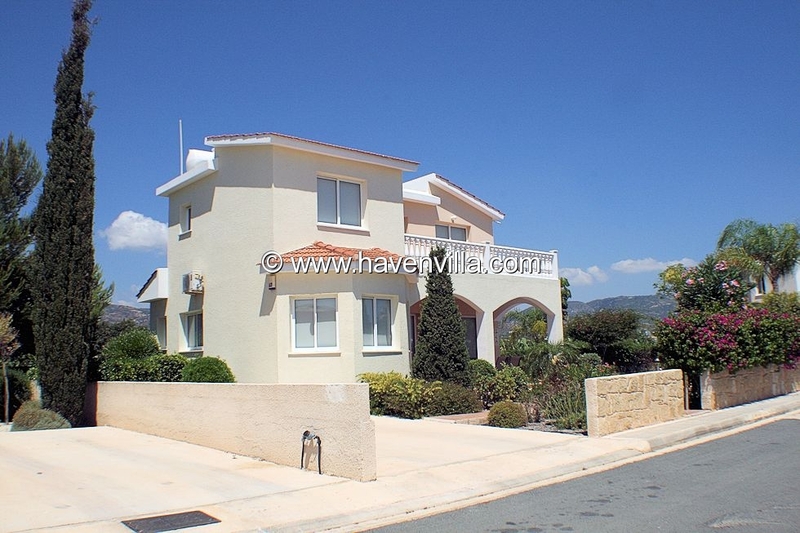 Myself and my wife had the good fortune to stay at this villa in Coral Bay Cyprus, which is just far enough out of resort to be relaxing but also close enough to comfortably walk. The little things included(such as the welcome pack of groceries, torch- for dark walks back, matches/barbecue lighters/fuel, skewers for barbecue books and videos) made it a little bit different from other villas on offer generally. Andros gave notification for mid holiday linen change, and was always very responsive to any questions you may have. Villa was tastefully decorated and the outside areas a joy to sit/sunbathe in, manicured shrubbery, gardens were immaculate and coulourful. Would not hesitate in recommending this property, which we have to a number of friends and work colleagues since of return home. Thank you very much for arranging the holiday. 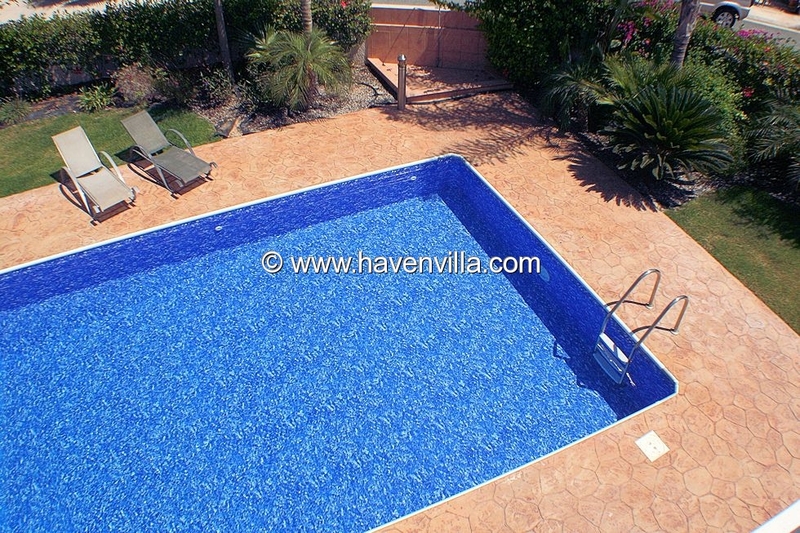 The Villa was fantastic and the pool was superb. We all had a fantastic holiday and the location was great. Just wanted to say that we had a great holiday and the villa and pool were absolutely superb, everything we wished for and more! We haven't decided on our plans for next year yet, but a repeat of this year is certainly very high on the list! 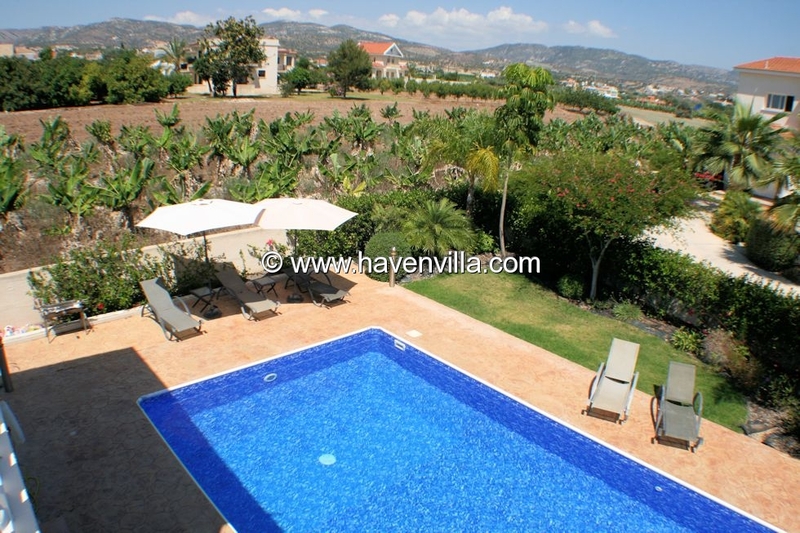 Again we would be looking for 2 weeks during August, and we would want the same villa or very similar in that location. My family stayed in July 2014 we all enjoyed a great time staying at Villa 174 .The Villa was well equipped nice and clean and very spacious. Everything in the description is correct, Location was around 15 minutes' walk to the Beach and various restaurants. Booking company manager Andros was brilliant any question transaction or query we had was always action promptly. Manny thanks Andros for your great service. Had a fabulous holiday in villa 174 neighbours very helpful when electric went off one night. 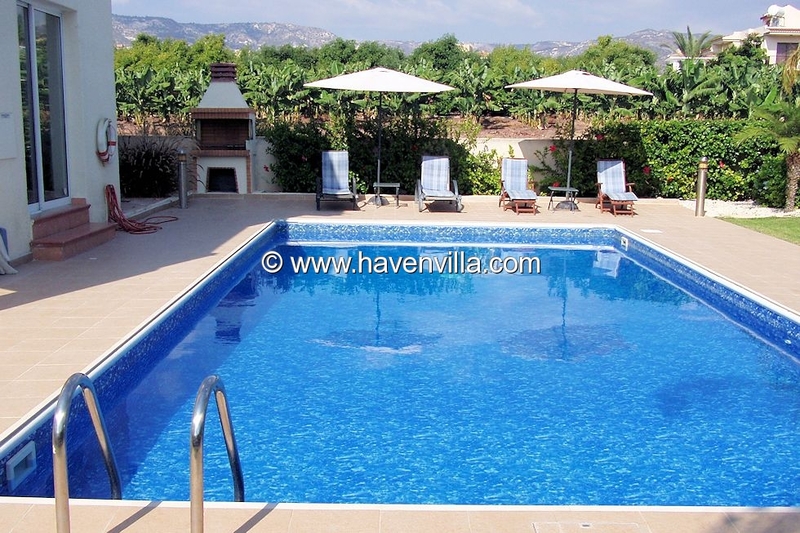 villa lovely pool great we definitely hope to be back in Cyprus next year!!! We have just returened from a beautiful fortnights stay at villa 174. Thank you and Haven Villa for making this stay possible. We will most certainly recommend your company and villa to family and friends. Good evening. Just a quick email to say a big thank you for all your assistance with the smooth booking of our holiday stay at Villa 174, Coral Bay. 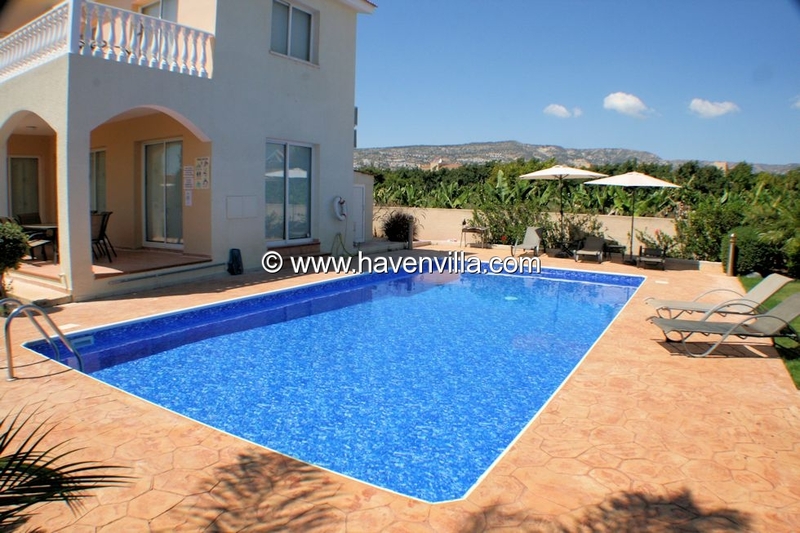 We all had a fabulous time in a perfect villa - spotlessly clean in a great location.We would definitely book with Haven Villas again and have already recommended you. We stayed in these Coral villa's during July 2007, when the villa's were still brand new. We were an adult party comprising my wife and I, plus my 18 year old daughter and her boyfriend. 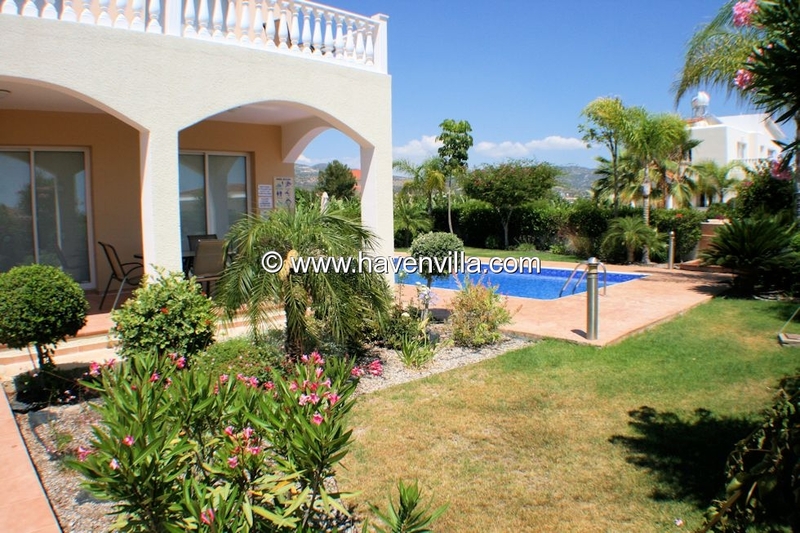 The villa was beautifully furnished and very nicely laid out for a relaxing family holiday. The pool area in particular was way beyond our expectations of a villa pool. We had a truly excellent holiday and would happily return to the same Villa again, although normally you would look for a new experience. The location was very good as it was far enough from Coral Beach to be away from the noise and large hotel hustle and bustle, however close enough to be able to enjoy the nightlife if required. We would certainly recommend hiring a car for your holiday as it would be quite remote without one. We arranged our car hire through Haven, and although the first vehicle delivered to us was not very good, this was quickly rectified by replacing it with a brand new vehicle. The general standard of hire cars is not great in Cyprus and we were glad of Haven's assistance in getting a suitable car.The nearby restaurants are all very good, however there is also a great selection of restaurants and shopping in nearby Paphos.We also organised Speedboat rental via Haven holidays from a nearby beach and that was exceptional. The boats and the general service we received from the company was such that we actually rented for three separate days. If you like snorkelling or just hanging around on boats I cannot recommend this additional service enough.Haven provided an excellent and friendly service whilst we were there and we would certainly go directly to them if / when we return to Cyprus rather than taking our chances via Google as we normally do. we even still get Christmas cards, which is much appreciated.One word of caution to anyone travelling to Cyprus, if you get food poisoning or are sick, the local clinics are very likely to admit you into the clinic because of dehydration, whether you actually need it or not and will put you on a drip for several days. Although obviously I cannot make light of the seriousness of dehydration or food poisoning, the apartment is well air-conditioned and you can easily get diarholyte sachets and ensure the patient drinks plenty whilst taking any necessary medications. Travel Insurance may well have a bearing in the advice you are given - only you can decide if that advice is correct.